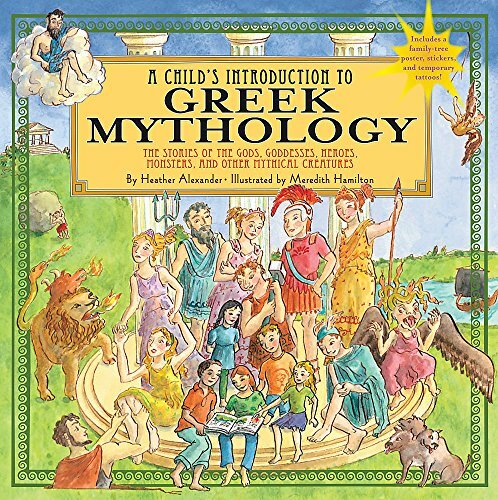 Download PDF Child's Introduction to Greek Mythology: The Stories of the Gods, Goddesses, Heroes, Monsters, and Other Mythical Creatures (Child's Introduction Series) by Heather Alexander free on download.booksco.co. Normally, this book cost you $19.99. Here you can download this book as a PDF file for free and without the need for extra money spent. Click the download link below to download the book of Child's Introduction to Greek Mythology: The Stories of the Gods, Goddesses, Heroes, Monsters, and Other Mythical Creatures (Child's Introduction Series) in PDF file format for free.